2017 Luxury Decoration Ideas Might not be What You Expected – say goodbye to marble and cooper! If you just added some marble and cooper elements to your home, you may want to stop reading. Trend forecasters and designers have their minds already in 2017 home decor, and let me warn you there will be a few major changes! Say goodbye to open plan living, quote artworks and marble. 2017 interior design trends are somehow much more delicate and connected to nature. Dark greens, whites, wood and even cork materials. 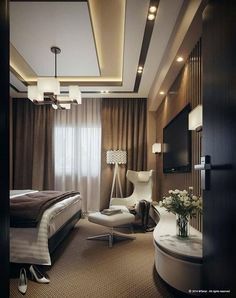 The new generation of designers look forward to deliver solutions allied to relaxation and well being, therefore, they want to build minimalist, delicate interiors that transmit inner piece. Take a look at a few of 2017’s trending luxury decoration ideas you can use for your next project. White has been designer’s favorite colors throughout this year, and it will not go away. This beautiful, calming color provides a luxurious yet simple environment for any home decor. The only thing you need to keep in mind is to use different materials. 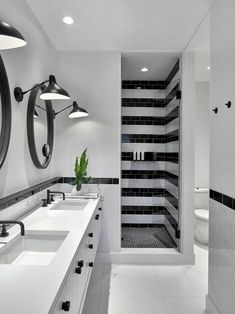 Use the same color but go a little crazy on the materials, wood, textiles, otherwise it will look boring. 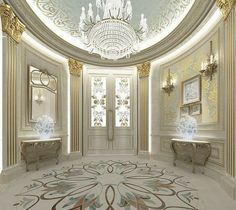 White is synonym with peace and beauty, and is one of the most suitable for luxury environments. Warm materials such as terracotta will become a huge interior design trend for 2017. These materials will look stunning with natural matte finishes to be used in bathroom walls or fireplaces. This trend not only adds character and warmth to interiors but also a modern “wow” feeling that reminds us of nature. Say goodbye to midnight blues and replace them for light and dark greens. 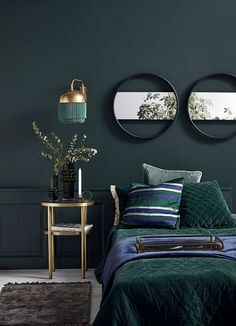 Dark shades of green will become the new must-have dark interior color and it should be especially used in armchairs, cushions and decor items to create an accent. 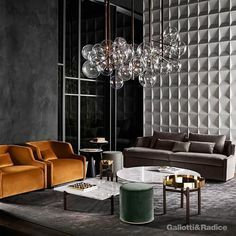 Tap it up with tan leathers, furs, brass lamps and natural light. 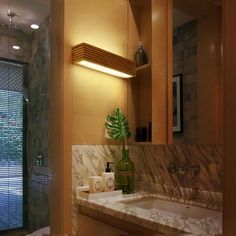 Portuguese luxury brand, Brabbu has been using this combination in several of their projects, for example. Pastel shades of pink and blue were one of the biggest allies of 2016, but next year they will be overtaken by jewel tones inspired by metals, space, stars and the cosmos. 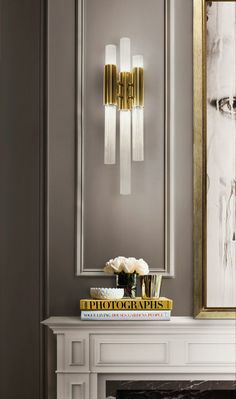 These kind of materials will create lightness and a soft romantic element to any luxury home. Add a little sparkle to your projects with metallics and raw-cut quartz. 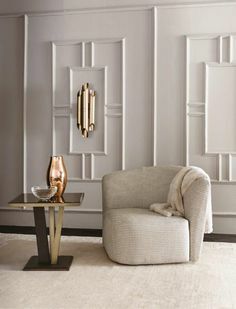 Upholstered bedheads have been a staple in luxury hotel bedrooms and celebrity homes for a while, but now they are definitely going to stay. Beds in 2017 should have upholstered bedheads set to replace the timber bed frames that are currently dominating the market. Velvet, neutral colors, a bedhead will instantly add glamour to any bedroom. If you’d like some Luxurious Lighting to set up the whole environment you can take a look here.